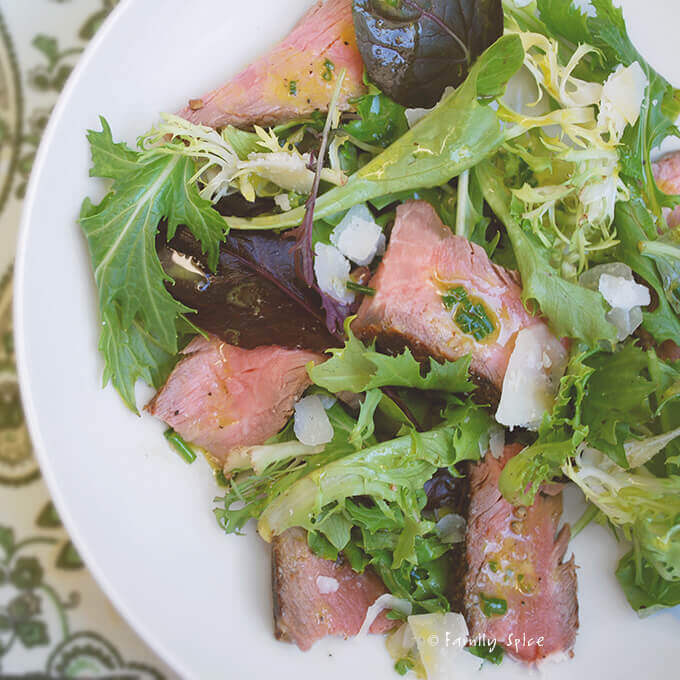 The dreamy dijon vinaigrette and salad is a wonderful way to spruce up leftover steak. We’ve been grilling a lot this summer. Duh, it’s grilling season! And everything tastes better when it’s been cooked on an open flame! And because we love to grill, we tend to over-due it, cooking up extra portions for the next day’s lunch or dinner. 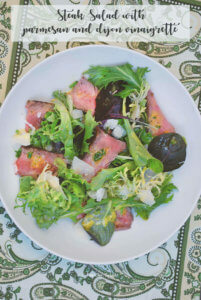 And if you have some spare meat, whether it’s beef, pork chicken or seafood, here’s a great salad to go with it. The salad? 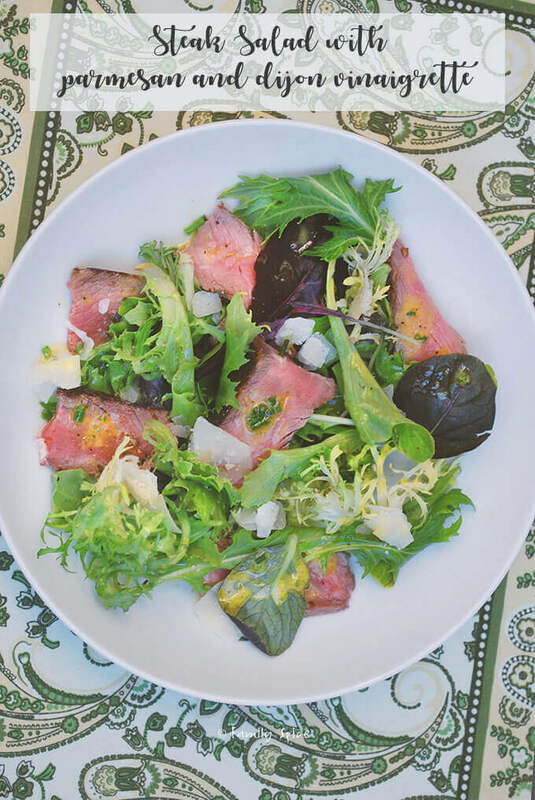 Steak Salad with Parmesan and Dijon Vinaigrette. YUM! I had two servings, myself! I used some steak leftover from our T-Bone adventure and it worked great. The vinaigrette can be as spicey as the dijon you choose. I preferred a little tang, nothing flame-throwing. Trader Joe’s has great mustard choices to select from. The shaved parmesan gave a nice salty-cheesy touch. A great way to lighten up your dinner or lunch even with steak! Drizzle salad dressing over the salad.